For more than three decades, Kennametal’s KM™ brand of quick-change tooling has been making machine shops more efficient. 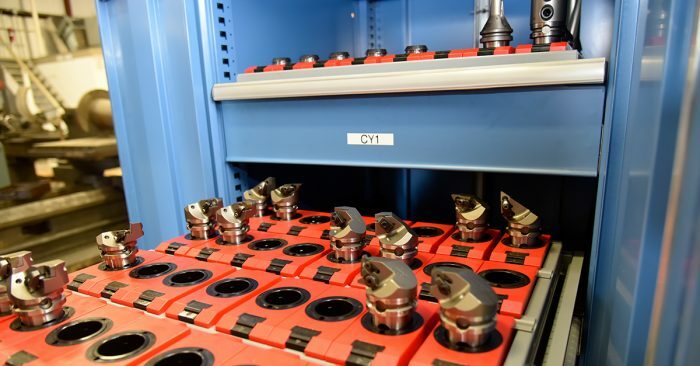 As thousands of customers will attest, KM provides shorter setup times, greater flexibility, higher levels of machine utilization, and the ability to meet the industry’s increasingly stringent requirements head-on. 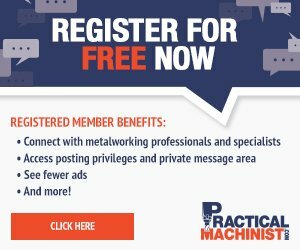 One of these is Anthony Machine Inc. Since 1946, the San Antonio job shop has served a variety of industries, including oil and gas, mining, transportation and power generation. With all that precision machining experience, there’s little this San Antonio job shop can’t handle. 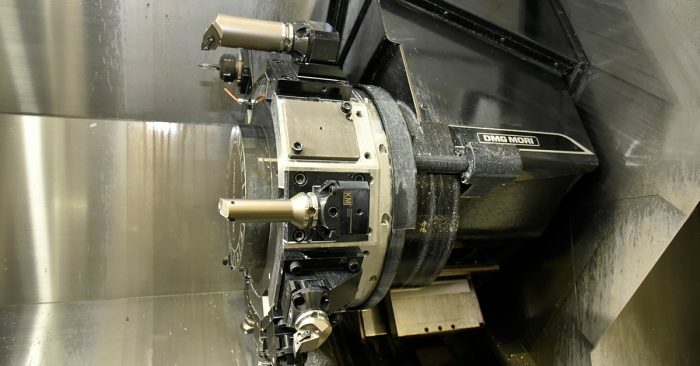 However, after the company purchased a pair of NLX 3000 1250 universal turning centers from CNC machine builder DMG Mori—the shop’s first Y-axis, live-tool lathes—Anthony’s manufacturing team was challenged with making the most of that new investment. 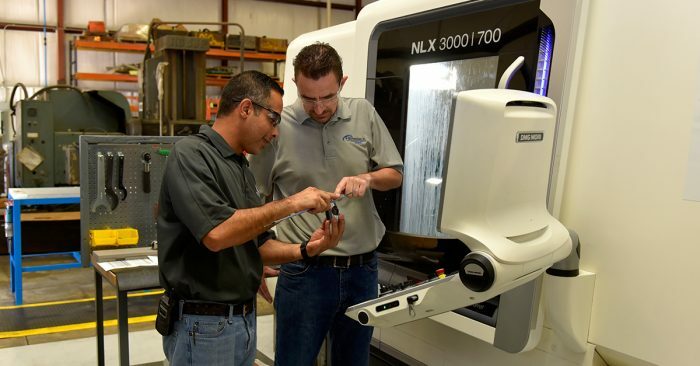 After seeing the benefits of using KM on their new NLX machines, Anthony Machine is planning to expand its use of quick-change tooling to other parts of the shop. Mohsen Saleh and CNC machinist setter Mark Garland discuss a workpiece produced on one of Anthony Machine’s DMG Mori NLX 3000 1250 universal turning centers.